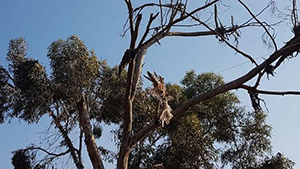 Yesterday, Parks Authority’s rangers found a dead bird, a falcon, on a tree near the Gaza border. There was a string attached to it leading to a flammable material. It was probably sent from Gaza in order to start yet another fire in the Negev. Is there a limit to this madness? After sending thousands of kites and balloons as weapons, now they launch “terror birds”? What can we do to fight such cynicism, hatred, evil, and incitement? It is easier, operationally and morally, for our soldiers to shoot or bomb terrorists who launch rockets or dig terror tunnels. But what do we do with people, mainly kids, who fly balloons, and kites or birds? It’s a big dilemma for us as Jews and as human beings. There were 889 terror fires near the Gaza border in the last 100 days. The main goal of the firefighters is to detect the flames when they start and put them out quickly, before they spread out of control. This requires being on high alert, as well as having adequate equipment and lots of volunteers. To help meet these needs, our national Federations network, JFNA, has allocated a significant amount of emergency funds to the relevant regional councils and various organizations. With this assistance they will be able to update their firefighting equipment, recruit volunteers from Israel and abroad, and provide psychological treatment and recreational opportunities for the residents of the region. 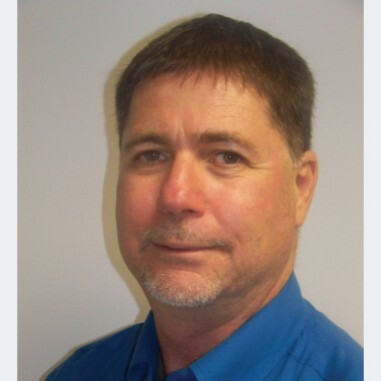 Our own David Lentz led this very important national committee. Our partner community of Kibbutz Erez was not spared from this new type of Palestinian weapon. Several fires have burned their fields, greenhouses, and open spaces, not far from the Erez-Greater MetroWest Friendship Park. But the fire that was started last week at a newly built neighborhood was the most frightening. Luckily, Kibbutz members were able to put it out before it destroyed the houses. This happened in the same week that families received the keys to their new homes, finally fulfilling their personal and communal dreams. I want to specifically thank Greater MetroWest community leader Richard Perl, who is generously supporting the purchase of new firefighting equipment in Erez, in memory of his parents. Last week was also the annual commemoration day for Matan Gotlib z”l. Matan was an elite unit soldier and a MetroLetzion Diller Teen Fellow who was killed in action inside Gaza during Operation Protective Edge four years ago. Every year since, during the Diller Community Week, we all climb up to the Matan Hill and share the legacy of this great, forever young man. The new Diller cohort, Matan’s friends from the army, and his amazing parents were there to tell his story and to pray together for no more war and bloodshed. Unfortunately, our prayers were not heard clearly enough during the weekend when more than 200 rockets were launched on Israel and few Iron Dome batteries were stationed around Tel Aviv. The situation now is a bit calmer though very tense. All we can do is keep praying hard for the better but be prepared for the worse.